Paul Rutherford has rejoined Ashington Cricket Club from neighbours Bedlington ahead of the new campaign. Now he hopes his experience will prove invaluable as the Colliers mount another challenge for the A1 division championship of the Go North East Northumberland & Tyneside Senior League, which gets under way with an away clash against Lanchester in mid-April. The Wansbeck side, led by skipper Greg Williams, finished runners-up to Tynedale and were only 15 points adrift of the title which would have put the icing on the cake of what was an outstanding season for Langwell Crescent outfit, which also saw the second XI won the B1 division and the third XI the league and Ian Appleby Cup. Now, as Ashington’s first XI look to go one step further, Rutherford’s timely return has been described by Williams as being a massive bonus. He said: “I’m really pleased Paul has joined us as we needed another spinner. “We were short last year and the fact that he is a front line as well as a good tight bowler is a massive bonus for us. The 43-year-old, an assistant site manager for a school, said of his return: “It was a very tough decision because I have thoroughly enjoyed two three-year stints with Bedlington, who are a fantastic club and who last term won promotion to the A1 division. 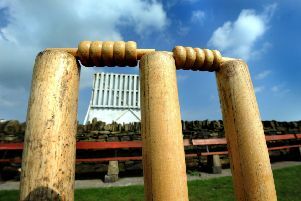 “But at my age I wanted to spend at least one more year playing for Ashington where I started my cricketing career. “I came through the juniors more or less at the same time as Neil Wood and Greg Williams, and later went on to captain the side. Bedlington’s Darren Leason said: “I’ve had the pleasure in captaining Paul – nicknamed ‘Bob’ – in both my spells as captain. “He’s been brilliant for me as I knew exactly what I would get every time I ask him to bowl – control and generally wickets. “What people underestimate is his cricketing brain, and I’ve relied on his input numerous times over the years. “Whilst I’m sorry to see him go, I completely understand his reasons as he completes a full circle in his career by going back to where he started, much as I did myself when I returned to Bedlington.